1000 passwords exposed, what about yours? Ombuds’ corner: Fear of retaliation? Shree Bose, the Google Science Fair Grand Prize winner, will come to CERN for a three-day internship. She is looking forward to it and hopes to sit in the CERN Control Room, and to learn more about ALICE and in general the work going on here right now. Despite her young age, Shree Bose is already an experienced researcher. Indeed, she has already been awarded prestigious prizes in various science fairs and competitions. Aged 17, she found a way to improve ovarian cancer treatment for patients when they have built up a resistance to certain chemotherapy drugs. 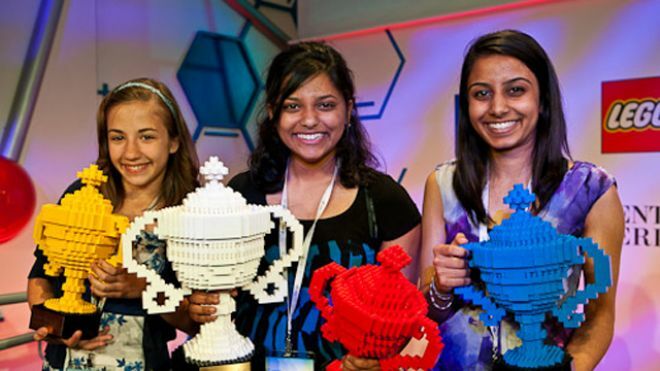 The project won the Grand Prize at the Google Science Fair, and together with an amazing 10-day trip to the Galapagos Islands with National Geographic Expeditions, she also won a trip to CERN. “Shree will visit several experimental sites here and will sit next to our physicists and engineers, in the CCC and the Control Rooms, learning every aspect of experimental physics and our quest to discover the mysteries of the Universe,” says Silvano de Gennaro from the Communication Group, who is in charge of preparing an interesting visit programme for her.